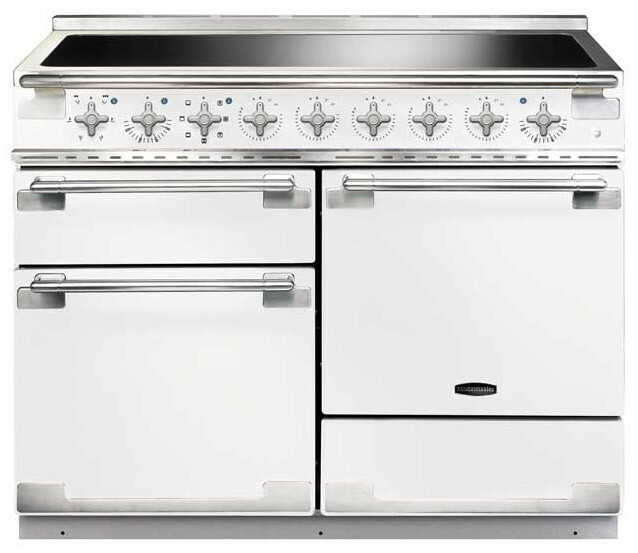 The Rangemaster Elise 110 Induction White Range Cooker effortlessly combines practicality and style. It looks fantastic in modern and traditional kitchens alike. This range is 1092mm wide, 930mm high and 595mm in depth. Its size means it has two enormous oven spaces that have a combined 138l capacity split equally between them. The Rangemaster Elise 110 Induction White Range Cooker has a six burner hob and is a dual fuel type induction cooker which means it has excellent energy efficiency. It is also loaded with extra features and useful functions such as a unique handyrack and dual circuit grill.